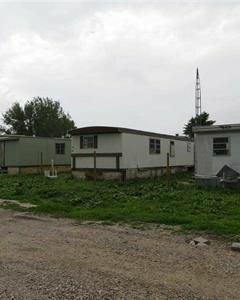 A gentleman named Lance Benson is looking to sell Swett, the rural South Dakota town he just happens to own, for just $399,000. The not-so-charmingly named town comes with three trailer homes, a three-bedroom house, a garage, and a 1990 Volvo semi. Perhaps most important, there’s also a bar called the Swett Tavern, though the new owner could probably re-name it whatever the hell he or she wants. Relatedly, the 2013 median sale price of a Manhattan apartment was $865,000. (That’s for one bedroom, no bar.) Think about it — or maybe don’t.